Being able to read well is one of the most important literacy requirements in our society. It is fundamental to almost all secondary school subjects and the English programme in particular. The new Key Stage 3 focus on teaching reading compels us to find exciting ways to engage young people with texts that they will continue with and develop themselves. This book outlines several approaches to reading which challenge former classroom practices. It is through these approaches that all students - from reluctant boys to the most able of either gender - can continue to grow as readers and develop their readiness to seek meaning in texts. 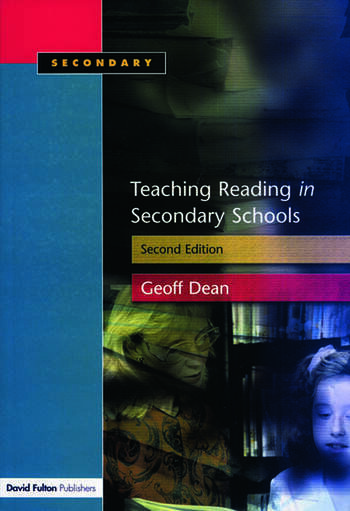 This second edition adds to the original ideas in Geoff Dean's first book and includes new methods of teaching reading, including "guided reading" and using increased grammatical student knowledge.